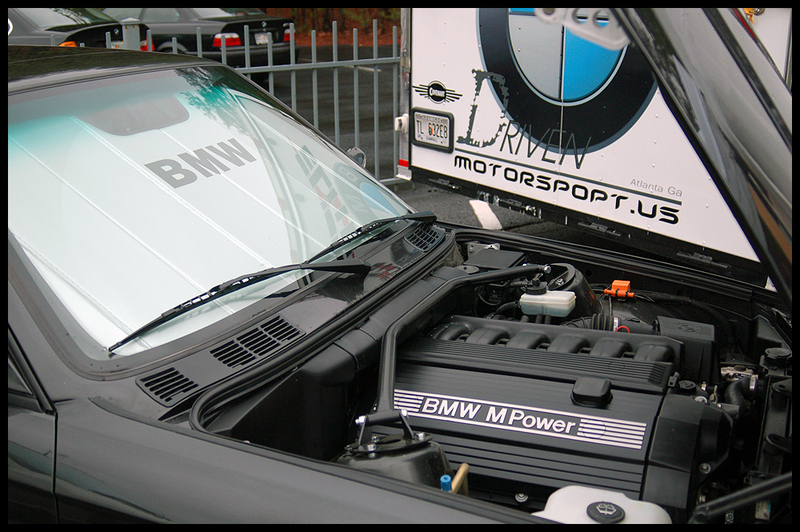 You may be wondering what the best engine for your new or future E30 should be. Well here is a list for you to make a better informed decision. Inline 4 engine stock 1.8 liter engine in the 318i. The fairly low weight of the engine makes the car feel nimble with the minimal power it produces. 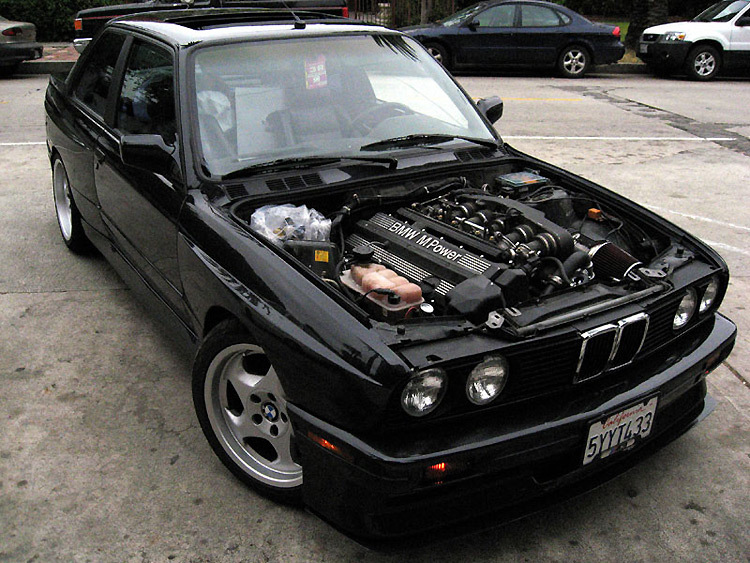 This involves taking your normal e30 and putting an e30 m3 engine in. 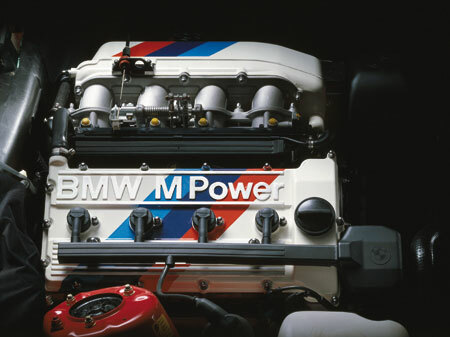 The engine is a 2.3 liter 4 cylinder engine that produces more power then the 2.5 liter inline 6 that is found in the 325i. Repairs arent cheap, not really a recommended swap unless you know it is what you want. An advantage is that it is a light engine and thus will not make the front end as front heavy. 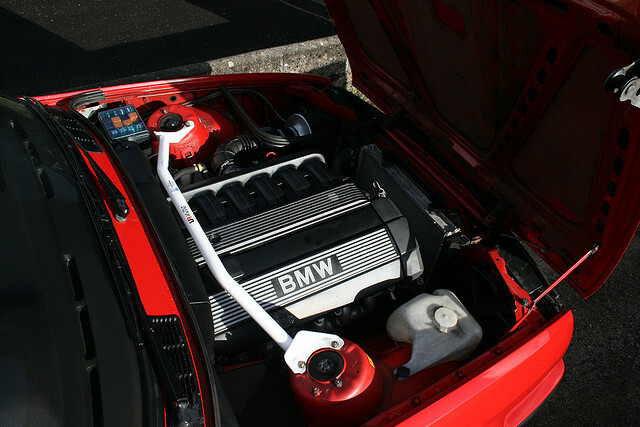 Stock engine in the 325i(s) models. Good all around engine; good power to weight ratio. I would say the best “stock” engine from the e30 lineup (apart from exotic swaps offered stock in places like south america). Can be found for fairly cheap used. Being a 24 valve engine it responds well to modifications, and is newer and smoother. However unless your doing the swap yourself (fairly simple in comparison to other swaps and documented really well) I would advise to save up a bit more and put an e36 M3 motor in (different engines in different markets but all good). 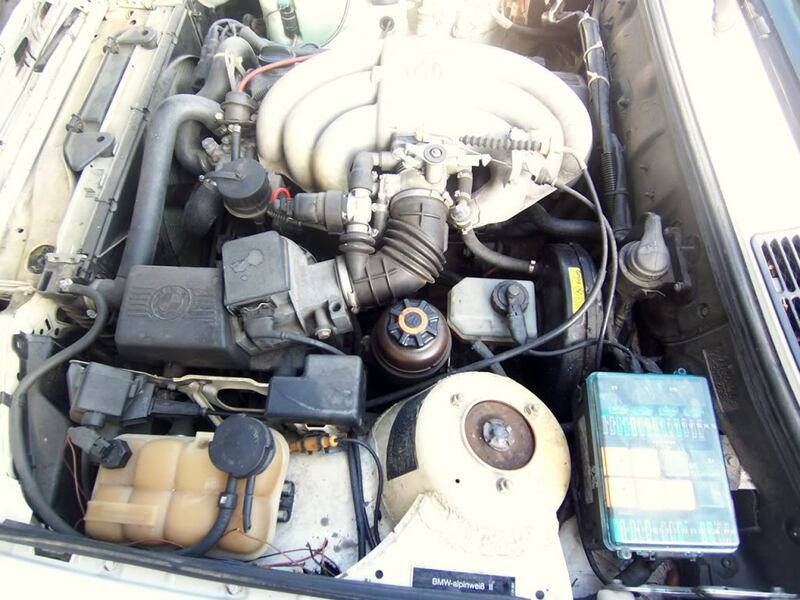 Not technically a swap persay, moreso a hybrid of the m20b27 2.7 liter block out of a 325(e) and the head out of a m20b25 2.5 liter out of a 325i(s). Basically makes your m20b25 a stroker. Lowers compression so it is sometimes a good candidate for a turbo setup. Euro e36 m3 engine swap. If you can afford it, this is a very nice way to go, because the motor is a traditional inline 6, light, and produces a very nice amount of power. The figures below are very conservative estimates. Very easy swap to do as it was already been done by both hartge and alpina, and even bmw themselves made a model with one for the south american market, thus oem swap parts can be had easily. This motors are tanks and will last indefinably. They also handle turbo set ups extremely well. Fairly easy and well documented swap. It is a 24 valve engine and thus takes well to modification. For what it is it can be found for cheap. 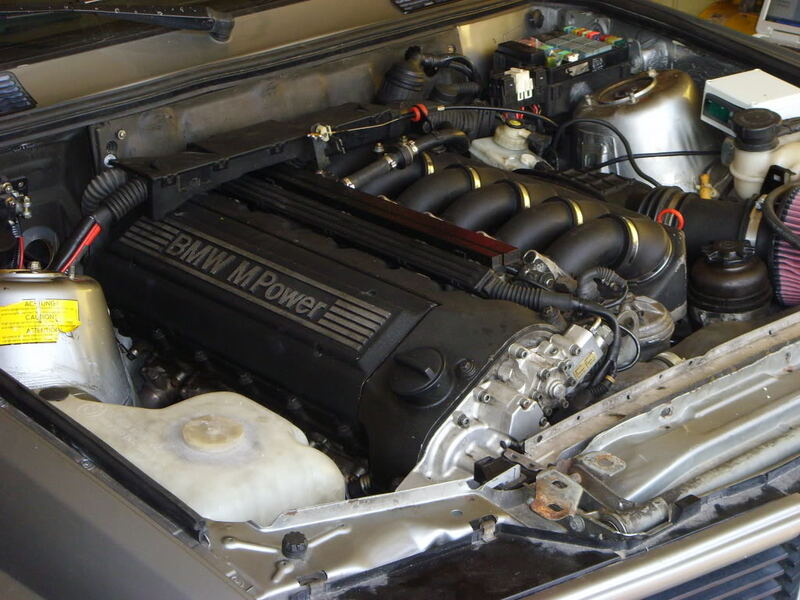 E34 m5 engine. Fantastic inline 6 engine that produces a nice amount of power, its a bit of a tight fit but can and has been done. Be VERY carful as these engines are very expensive to fix. It has been done stock by hartge in an e30. 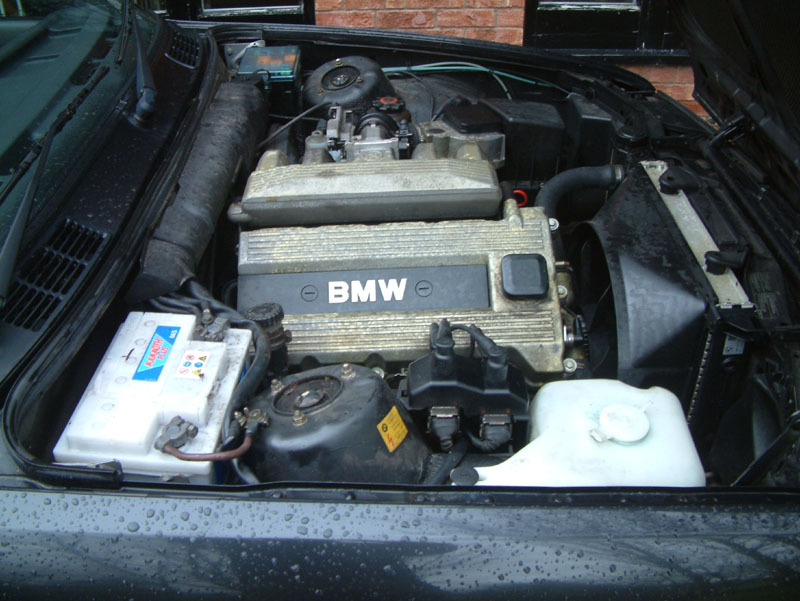 So you want a v8 in your e30? This is what you want; not only does it produce a nice 286hp but also even more torque (something that cant be said about high hp inline 6’s). Engines can be had for fairly cheap, but the actual swap is a bit of a venture. You will find a swap guide here on my website (www.rtsauto.com/?p=141). The engine is actually shorter then a stock m20b25 2.5 liter, it is however wider. Being shorter and wider puts it back farther from the front suspension and thus has a positive handling effect; not only do you get a nice chunk of v8 power but your handling doesn’t suffer ether! It ways a bit more, but not a significant amount and thus a carbon fiber hood and possibly carbon fiber fenders should make the front end weight as much as it would stock. This is my personal favorite swap as the m60/m62 are fantastic engines. Yes it will fit, the very lightly documented so your more or less on your own as far as swapping goes. However, it has been done and this engine produces a nice, SMOOTH 300hp, because of its 12 cylinders. For the crazy and unique I recommend this swap, if your doing the swap yourself… have fun finding information, and for those paying someone else to do it… I pray for your wallet. This entry was posted on October 4, 2010 at 11:06 pm and is filed under Interesting Stuff. You can follow any responses to this entry through the RSS 2.0 feed. Awesome Post 🙂 I cant imagine the continuous acceleration of 12 cylinders …. does the s50b30 swap need custom crossmembers? A lot of great information but one small correction. You mention the e30 335 and that BMW made one for their South American customers. This was actually South Africa and was a 333I. It used the Alpina motor mount brackets which were overbuilt in strength, front oversized brakes, 7×16 wheels, and some digital instruments. The first car on the page is my car! Took me 3mo of late nights to build it. Would like to have it back now. 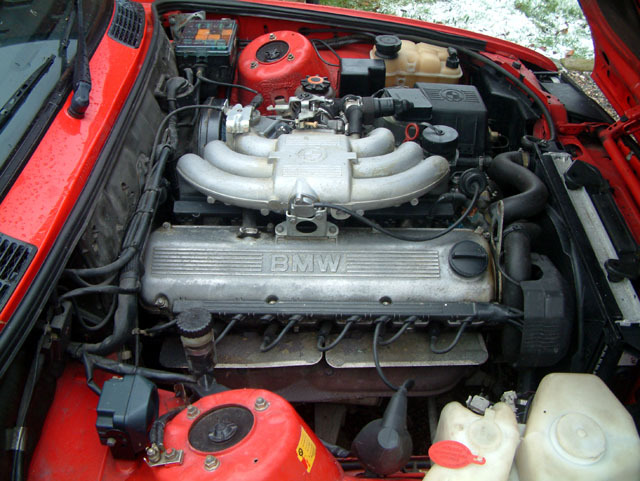 Is it not feasible in the case of 4-cylinder E30 to swap in an M43B19 or M44B19 from an E36? This would maintain same light weight in front so no need for new heavier springs and still tossable. E30’s used Iron blocks with aluminum heads. E36’s used aluminium blocks and aluminium heads. Swapping in an aluminium engine would yield fairly the same weight. This is not to mention that if you are going to swap an engine, make it worthwhile and put in something with significantly more power. Will the M60 swap still work or does it require lots of additional modifications?